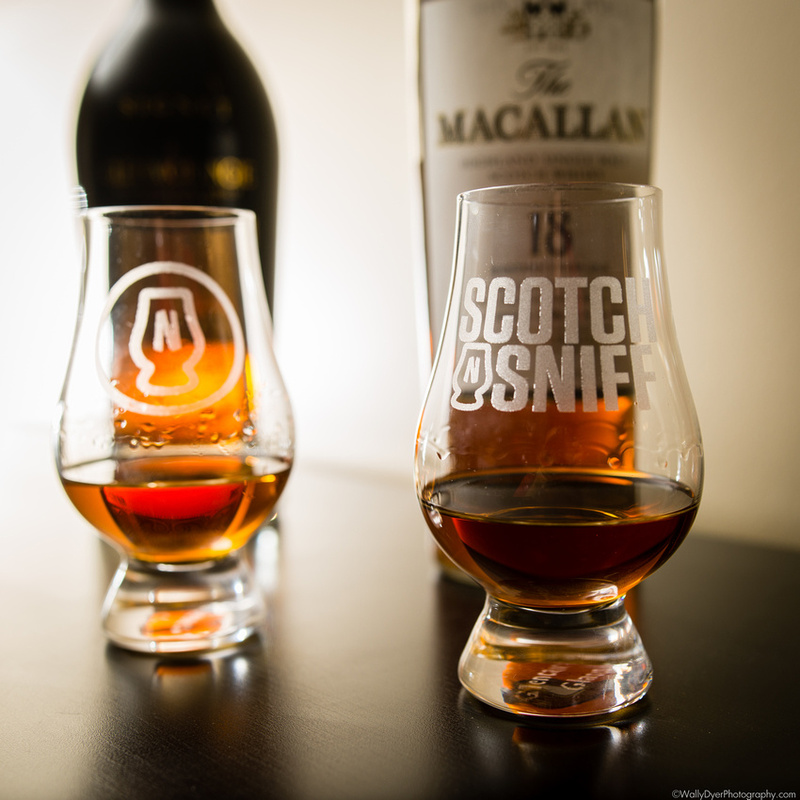 From two power houses with two very different offerings, we bring you one of the best tasting ScotchVSScotch tastings to date. The idea of comparing two chocolatey scotches had crossed my mind a few times but I was really craving some chocolate recently and decided to enjoy that cocoa-y sugar the best way we I know how. 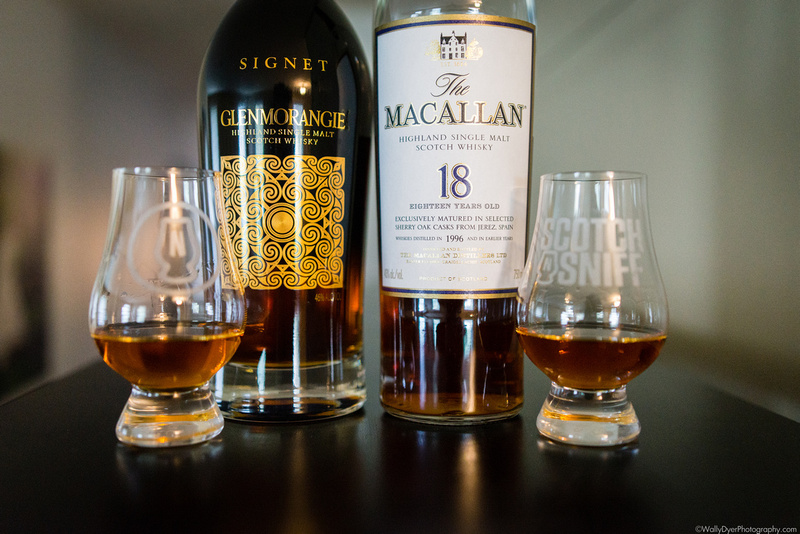 The Signet is made with a blend of some of Glenmorangie’s older whisky (30+ years according to their website) and some younger whisky made from roasted “chocolate” barley malt. It’s called chocolate malt but it gets its nickname from the flavors brought out of the barley not so much the method by which its roasted and dried (which is the real defining factor for making chocolate malt). Wow. This is just another reason I’ve fallen in love with comparison tasting and really a reason I think tasting events are more enjoyable (sometimes) than just sitting down with a single glass at home. Both of these pours are rich with velvety chocolate when enjoyed alone but side by side the subtle nuances of flavor really rise to the top. 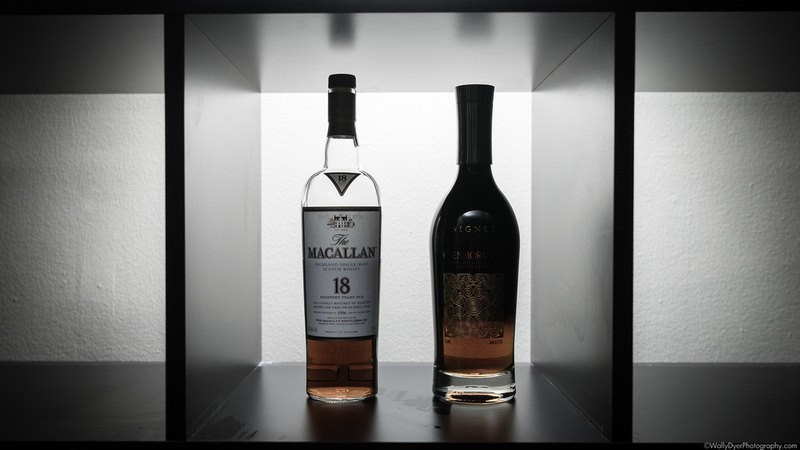 The Macallan reeks of espresso and sherry. No surprise there! The Signet changes from its normally-chocolate-self to a refreshing orange and fruit medley with a mint and ginger overlay. 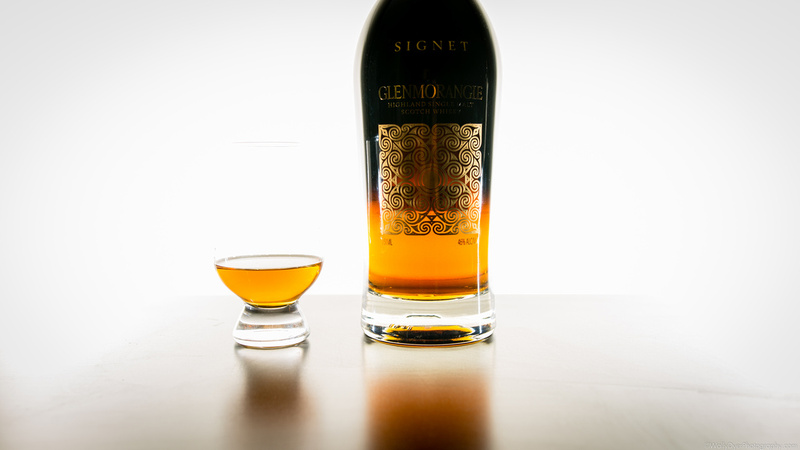 On the palate, the Signet is spice laden and packs a flavorful punch. Cinnamon and black pepper take the stage with fruit sugar waiting in the wing but never getting the spotlight. It finishes just as fresh as the nose. Minty, light,and refreshing. The Mac 18 is velvet on the tongue and almost the polar opposite of the Signet on the tongue. 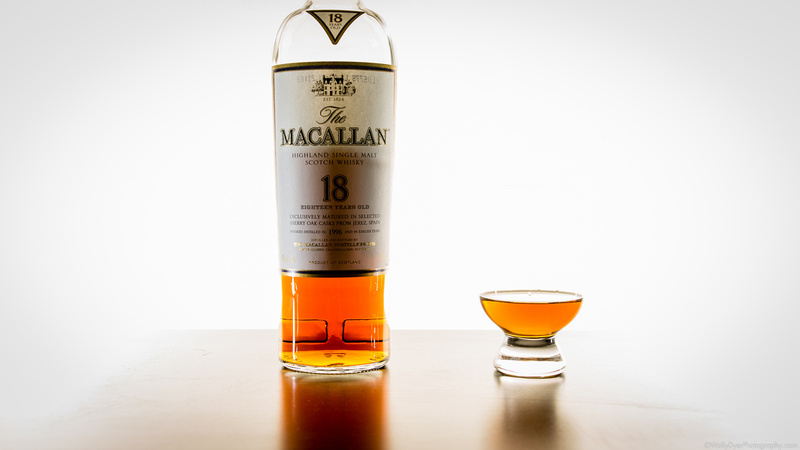 Sherry spices usher almost-mandarin-sweet oranges to the front of your attention. The spices that commonly accompany sherry aged scotches are extremely well balanced against splashes of milk chocolate, apples, and just a bit of oak. The 18 finish seems to last and last. Fantastic! So there you have it!! Have you tried either of these or both of these wonderful offerings? Which is your favorite? Let us know in the comments below!